Kevin Kimberlin co-founded or first funded several companies that have changed the healthcare landscape and revolutionized global communications. 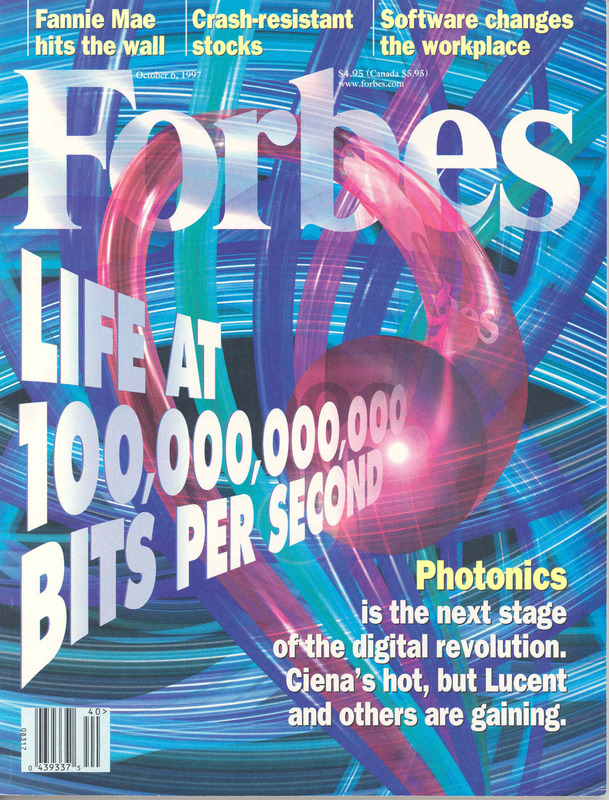 Ciena’s breakthrough technology featured in Forbes. The Internet — Five months after the general release of the World Wide Web, Mr. Kimberlin teamed up with Dr. David Huber to create high-capacity optical networking systems. Kimberlin and Huber filed their corporate charter and issued the founders shares for Ciena Corporation on November 12, 1993. Ciena patented the dual-stage all-optical amplifier, which enabled the firm to build and commercialize the first Dense Wave Division Multiplexing (DWDM) system. This made Ciena, in its first year of operations, the fastest growing company in the history of American business. Now DWDM is the common basis for all metro, regional, national, intercontinental, and transoceanic communications networks around the world. Thus Ciena’s invent, open DWDM, powered the internet explosion of the 1990s, and serves as its foundation today. Co-founders of Myriad Genetics, Walter Gilbert and Kevin Kimberlin, attending a recent shareholder meeting. The Human Genome — Mr. Kimberlin co-founded Myriad Genetics with the scientists most responsible for creating the technologies that drove the Human Genome Project. They were brought together by Kimberlin’s vision of systematically discovering gene mutations that cause major diseases. He raised the private capital, and secured the underwriters for the Company’s initial public offering. Myriad received international acclaim for discovering the breast cancer gene, BRCA1. Steering the team away from diagnostic products, Kimberlin focused them on building the reference laboratory that became the core business of Myriad. This testing service has given predictive insight to over one million women, most notably Angelina Jolie. BRCA1 is also the basis for the first FDA-approved genomic test coupled with a DNA repair deficiency drug. By understanding the role that genes play in human health, Myriad has become the world leader in transforming medicine from treating symptoms, to predicting and preventing the very cause of disease. Mobile Telephony — Kimberlin backed Millicom Inc., the firm that led the global roll-out of mobile communications. As both investor and advisor to the CEO, he structured the first private financing for Millicom when it had only five employees and $131,000 of paid-in founders capital. This financing was the impetus for the joint-venture named Vodafone, recognizing Millicom’s development of the Voice and Data phone. Starting with the announcement of its first cellular award during a planning session in Mr. Kimberlin’s office on December 16, 1982, Vodafone grew into the world’s largest communications firm. Today, the dozens of cellular operators set up by Millicom and its joint ventures cover Africa, the Americas, Europe, and Asia, in aggregate serving approximately 10% of the human race. Non-infectious Vaccines — The success of Millicom gave Kimberlin the credibility to start his company with renowned polio hero, Dr. Jonas Salk. As the founder of The Immune Response Corporation, Kimberlin drove the strategy, recruited the management and scientific teams, and brought together its major corporate partner to advance Dr. Salk’s groundbreaking immunotherapeutic vaccines. Immune Response cemented Kimberlin’s reputation as a high impact entrepreneur when it became the best performing U.S. stock in 1991. The Phase III trial on 2,527 HIV-infected patients vaccine (the largest immunotherapy trial conducted to that point) unfortunately failed to meet its clinical end point, a devastating personal loss to Kimberlin. Yet he derived some comfort by exchanging the rights to the company’s B-cell lymphoma patents for stock in a startup backed by Microsoft co-founder, Paul Allen. This invention was a key element in the first FDA-approved cancer vaccine. 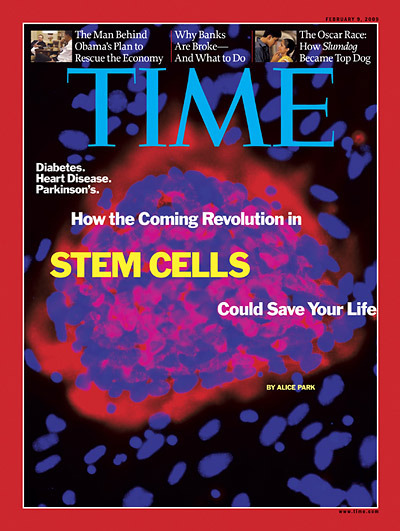 Time Magazine hails importance of stem cell research. Stem Cells — Another major medical landmark occurred in 2012, when Kimberlin startup, Osiris Therapeutics, received the first-ever regulatory approval for a stem cell drug. Kimberlin founded this company with Dr. Arnold Caplan of Case Western Reserve, the scientist who discovered the mesenchymal stem cell. Osiris turned Dr. Caplan’s laboratory observation into cellular matrix products for treating chronic and crippling wounds such as diabetic foot ulcers, acute burns, bone, ligament, and cartilage injuries. After two decades of trail-blazing the field of regenerative medicine, Osiris is now widely respected as the preeminent stem cell company. Broadband Communications — Kimberlin was hired in 1998 by General Instrument Corporation (GI) — his corporate partner at Ciena — as the sole manager of an engineering team making high-speed Internet access gear. The investors were Liberty Media, Forstmann Little, and GI, which collectively invested $525 million in Next Level Communication LP. Their confidence in Mr. Kimberlin was rewarded after he took Next Level public, creating a market value of $17 billion. Motorola subsequently acquired 100% of both GI and Next Level. Health Dialog co-founders, George Bennett and Kevin Kimberlin, with Dr. Jack Wennberg, celebrating Wennberg’s endowment at Dartmouth. Health Care Transformation — For 15 years, Kimberlin fought to place hard evidence at the center of patient decision-making. 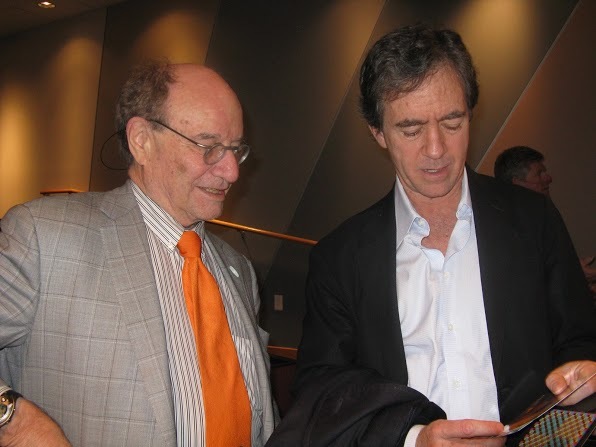 This evidence-based medicine movement, started by Dr. Jack Wennberg of Dartmouth College, is the lodestar for Health Dialog, Inc. in which Mr. Kimberlin was a pre-A round investor and a long term director. In that role, Kimberlin introduced several of Health Dialog’s key initiatives: its Series A funding; the financial guarantees required by its early customers; and an innovative “one-day IPO” that yielded $170 million for shareholders. These efforts sustained Health Dialog as it grew into one of the fastest growing healthcare companies in America. From this success, Health Dialog paid royalties of $110 million to support the application of Dr. Wennberg’s research, which became the impetus and economic rationale for The Patient Protection and Affordable Care Act. The first funding for Intervoice came from Kimberlin’s efforts with the Bass Brothers-controlled Gtech Corp. Intervoice designed and marketed a pioneering artificial intelligence voice-computer system called “the Robot Operator.” Convergys acquired Intervoice in 2008 for $335 million in cash. He was also an original investor in the Hispanic superstore chain called El Super. Partnering with the billionaire Chedraui family, El Super grew from start into a firm with 4,000 employees, serving 2 million customers and generating $1 billion in top-line revenues a year. Mr. Kimberlin also bought into and brought together the funding to launch ShopNBC(ValueVision), an Internet and TV convergence pioneer. Thanks in part to an additional investment by NBC and GE totalling $222 million, ShopNBC has generated a cumulative $10 billion in revenues. 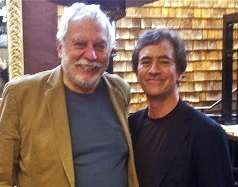 Colleagues Kevin Kimberlin and Nolan Bushnell. Kimberlin was not so fortunate with Nolan Bushnell, the man who launched the video game industry with Atari. The company Mr. Kimberlin backed was named Irata, which is Atari spelled backwards. At first it grew rapidly, but when the auditors caught the CEO looting its treasury, Irata collapsed virtually overnight. At the time, Bushnell said that losing Iratafelt worse than missing out on Apple Computer, the company started at Atari by his three employees — Ron Wayne, Steve Wozniak and Steve Jobs. On a more positive note, Kimberlin’s focus at Aperture Technologies helped turn that firm into a leading supplier of data center software to Fortune 100 companies. As its major investor and director, he pushed Aperture into the heart of cloud computing — energy and infrastructure management for data centers. Emerson Electric acquired Aperture and its top competitor, turning the combination into the dominant player in data center management software. Open Innovation — With the experience of these innovations under his belt, Kevin Kimberlin and his firm are now trying to redesign the innovation process itself. To that end, they have built two leading open innovation platforms: (1.) inno360, developed with the Air Force Research Labs, General Mills and P&G to tap innovators around the globe, and (2.) InnoCentive, a global brain trust. By demonstrating the power of philanthropic and corporate prize-based challenges, InnoCentive has spawned a boom in science and technology prizes and awards.